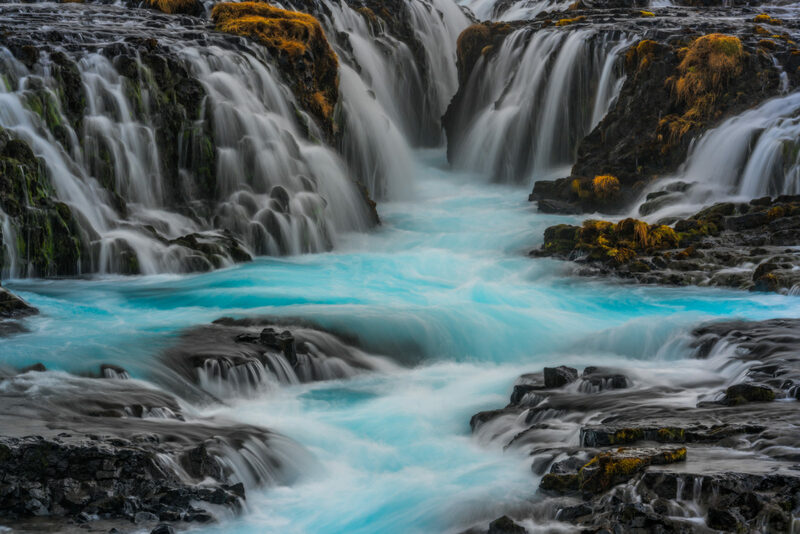 Brúarfoss ('Bridge Falls') is an amazing little set of waterfalls that cascade into a huge pool of turquoise water which rages in symphony. A truly magical site to behold indeed. Access to these falls in controversial; however, a new public trail has been installed requiring a 3 mile hike to the falls. Well worth it I'd say!